Surf vector illustration design elements stock footage pack. 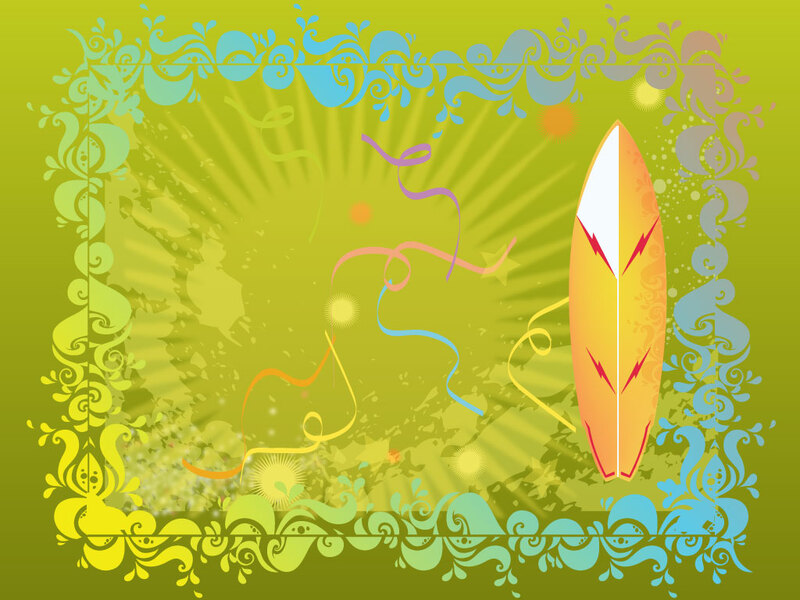 Green vector background with splash cartoon gradient frame, colorful surfboard, streamers, star burst and grunge texture. This free Illustrator design download is a beach party flyer just waiting for your text work and graphics. Change the size and color to suit your tastes and you're done! Tags: Beach, Cool, Ocean, Sea, Summer, Sun, Surf, Tropical, Waves.